Property owners have a responsibility to ensure their premises are reasonably safe for passage and free of injury threats. However, when a property is not appropriately maintained, lacks adequate lighting or does not have clear warning signs for existing hazards, slip-and-fall accidents, chemical exposure and other dangers, incidents can result in severe and costly injuries to innocent people. Massachusetts Kiley Law Group has more than three decades of experience as advocates for injury victims, and our attorneys have recovered more than $400 million for victims and their families. We understand the life-altering impacts an injury caused by another’s negligence can have, and we fight hard in pursuit of the financial peace of mind you need to restore your life. If you or a family member was hurt in a slip-and-fall accident or other accident caused by unsafe premises, please call us today at 888-979-9323 for your free consultation. For additional information on premises liability law, types of slip-and-fall accident cases, and related injuries, please see the links below. Have you ever hurt yourself taking a spill in public? Like most people in such circumstances, you probably wanted to flee the scene and hope no one witnessed. However, many slip-and-fall accidents are not the victims’ fault, but due rather to negligence of those responsible for maintaining safe premises. Even seemingly minor slip-and-fall incidents can result in costly medical expenses; some of these accidents cause severe injuries that require long-term care. The attorneys at the Kiley Law Group are dedicated to helping injury victims, and we have an established record of success in premises liability cases. Please contact us today for your free consultation if you or a loved one suffered injuries in a slip-and-fall accident. far too often, the result is serious injury. Given the severity of East Coast winters, Massachusetts in particular has a number of regulations regarding the removal of snow and ice and the storing of chemicals used to remove snow and ice. Falls on icy or wet surfaces that should have been cleared but were not are a common source of premises liability lawsuits. If you were hurt in a slip-and-fall accident in Massachusetts, the attorneys at the Kiley Law Group are here to help you understand your options and pursue the compensation you need. Slipping, tripping and falling accidents are often preventable with proper care by the property owner or manager. If you were injured due to a slip-and-fall accident, please contact the Kiley Law Group for a free consultation. 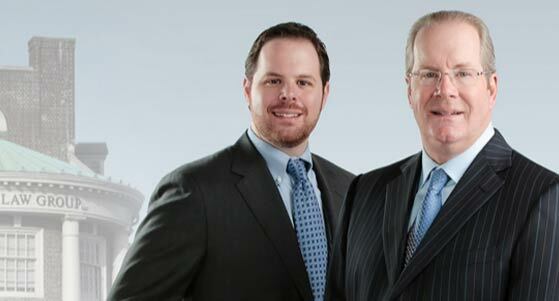 Our attorneys can help you understand your legal options. Many slip-and-fall accidents occur on hard surfaces, and the resulting injuries can be accompanied by astronomical medical expenses and a need for long-term rehabilitation. These types of accidents occasionally result in catastrophic injuries such as spinal cord damage or traumatic brain injuries. When these injuries are due to unsafe premises, you may be able to seek compensation for medical costs and other resulting damages. The attorneys at the Kiley Law Group understand how to thoroughly investigate premises liability cases, and we have a strong record of success recovering the financial security injury victims need to move forward with their lives. A fall in a department store can be embarrassing, but it can also be painful and cause potentially life-changing injuries. Although most department stores are part of massive global chains and are well financed and well insured, these companies and their insurance providers will do everything in their power to make sure claims against them are limited. If you were hurt in a department store fall that may have been the result of unsafe conditions, it is critical to discuss your situation with an experienced lawyer as soon as possible. For more than three decades, the Kiley Law Group has fought for the compensation injury victims need, recovering more than $400 million along the way. Please contact us today for your free consultation. Falls are the most common source of on-the-job injuries. Like other slip-and-fall accidents, workplace falls are often the result of negligence in maintaining safe premises; unlike other slip-and-fall accidents, damages for job-related falls are typically pursued through workers’ compensation rather than the court system under premises liability laws. This is because most of these accidents occur in the normal course of an employee’s duty.The attorneys at the Kiley Law Group have extensive success in both workers’ compensation claims and slip-and-fall accident cases. We can investigate the details of your injury and help you determine the appropriate course of action for obtaining the compensation you and your family need as you recover; in some cases, you may be able to pursue additional compensation from a third party. Please contact us today for your free consultation. The owners and operators of sporting venues know their facilities can be dangerous, and that’s why most tickets contain tiny disclaimers that attempt to prevent lawsuits in the event of a visitor’s injury. But the owners of sports stadiums still have a responsibility to maintain reasonably safe premises, and they may be held accountable for injuries caused by their negligence. Slip-and-fall accidents are common at sports venues, and they can occur when workers fail to clean spills or post warning signs on wet floors; they can also happen due to broken railings or steps or uncleared snow or ice. If you or a loved one suffered injuries after a fall at a sporting venue, please contact the Massachusetts attorneys at the Kiley Law Group today for your free consultation. Did you make a deal with your landlord to shovel snow and ice from your property only to find yourself injured? You may be able to pursue compensation for medical costs and other damages. Many people in this situation resist help because they don’t want to ruin their relationships with their landlords or risk being evicted for taking action. But tenants have rights, and a confidential consultation with a knowledgeable attorney at the Kiley Law Group can help you understand your options. Our lawyers have decades of experience successfully fighting for injury victims, including renters injured while clearing snow for their properties. Please contact us today and learn how we can help you. In Massachusetts, there’s no avoiding the snow and ice of winter. However, property owners still have an obligation to provide reasonably safe premises, including clear thoroughfares and warning signs of unsafe conditions such as pools of melted snow or icy surfaces. Slip-and-fall accidents are common in the winter. If you were hurt in a fall that you believe was the result of unsafe icy or snowy conditions, please contact the Kiley Law Group for a free consultation. Our attorneys are dedicated to helping injury victims achieve the financial peace of mind they need to restore their lives. Unsafe premises are a common source of slip-and-fall accidents in parking lots. Factors in these accidents may include insufficient lighting, slippery surfaces or inadequate maintenance that leads to tripping hazards. Because parking lots are high-traffic areas, it’s especially important for property owners to ensure that they’re reasonably safe. If you suffered harm in a slip-and-fall accident in a parking lot, our attorneys can assess your situation and determine whether negligence on behalf of the property owner was responsible. If so, we can help you pursue the compensation you need to heal from your injury and move forward with your life. A slip-and-fall accident at a restaurant may not be the result of a moment of clumsiness; it may be due to unsafe conditions such as wet floors, broken steps, loose handrails, dim lighting or other hazards. In the winter, snow and ice that aren’t cleared can pose threats, as can a lack of warning of dangers like standing water. It’s advisable to discuss your situation with an attorney if you were injured by a fall in a restaurant. Large chain restaurants in particular often have teams of insurance adjusters and lawyers who attempt to deny or limit claims for damages. The attorneys at the Kiley Law Group have recovered more than $400 million for injury victims in three decades of service. Please contact us today for a free consultation. Falling down is a part of childhood, but children aren’t always responsible when they fall and injure themselves. Children are also particularly vulnerable to serious injuries in these types of accidents, which can lead to overwhelming medical expenses. If you believe your child’s slip-and-fall injuries were the result of negligence in maintaining safe premises, whether private or public, the attorneys at the Kiley Law Group are here to help you understand your options and pursue the financial peace of mind you need. We have an extensive record of success in child injury cases, and we are ready to hear your story; please contact us today for your free consultation. Elderly people are especially at risk of severe injuries in slip-and-fall accidents. These injuries may result in massive medical expenses and the need for lengthy rehabilitation. It is particularly important for those with loved ones in nursing homes or assisted-living centers to be aware of the possibility of slip-and-fall accidents, which can be the result of careless staff or negligent property owners in maintaining a safe environment. The attorneys at the Kiley Law Group understand the extensive costs that are often associated with injuries to the elderly, and we fight hard to recover fair compensation for our clients. If you or an elderly family member suffered injury in a fall that may have been the result of another’s negligence, please reach out to us today for a free consultation. Some slip-and-fall accidents are thankfully accompanied only by a few seconds of discomfort and minor bruising. Many, however, result in broken or fractured bones, which in turn come with significant medical expenses and months of care. The wrists, hands, elbows, hips, knees and head are particularly at risk of bone breaks or fractures in fall accidents. At Massachusetts Kiley Law Group, our attorneys understand the life-changing expenses associated with these injuries, as well as their lingering effects. If you suffered bone injuries in a slip-and-fall accident that you believe was caused by unsafe premises, please contact us today and learn how we can help. Suffering a brain injury in a slip-and-fall accident can be immediately life-changing, resulting in the need for emergency treatment and long-term care and creating financial hardship for an entire family. In circumstances in which negligence in maintaining safe premises may have been a factor, it’s a good idea to discuss your case with an attorney. For more than 40 years, the Kiley Law Group has helped victims of severe injuries pursue fair compensation for medical expenses and other damages. Our attorneys have recovered more than $400 million for injury victims and their families, and we’re here to help you seek the security you need. Those who suffer spinal cord injuries face a long and costly road to recovery; in some cases, the injury is permanent and long-term care is required. When such injuries are the result of a slip-and-fall accident caused by unsafe premises, victims have the right to pursue compensation. The attorneys at the Kiley Law Group understand the considerable costs associated with spinal cord injuries and the challenges faced by victims and their families. We fight hard to ensure victims of catastrophic injuries can enjoy the best quality of life possible moving forward. Please contact us today for a free consultation.